I know, I know, the title seems like deja vu. Hitman 2: Silent Assassin came out in 2002, but we’re in the era of reboots now, and this generation’s Hitman 2 is just as good as Silent Assassin was 16 years ago. 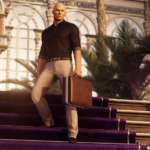 Developer IO Interactive is back with a full-length game after giving the episodic format a go for the mini-revival of Hitman in 2016. The episodic format did well enough to warrant a full-length title, but it is yet to be seen if consumers prefer the $60 day-one package to the lower-priced episodes that featured one level at a time, giving you time to actually master each mission before the next released. The good & bad news about Hitman 2 is that it’s just like 2016’s Hitman video game. Hitman 2 feels like a continuation of the episodic levels, expanded, and put into a full-length game for $60. I say good and bad because your enjoyment of the gameplay and systems in the 2016 episodes will largely determine your enjoyment of Hitman 2. 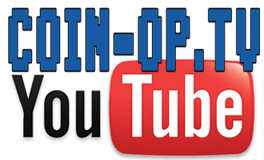 I personally enjoyed the levels IO put out as episodes, therefore I am really enjoying 2 as a whole. 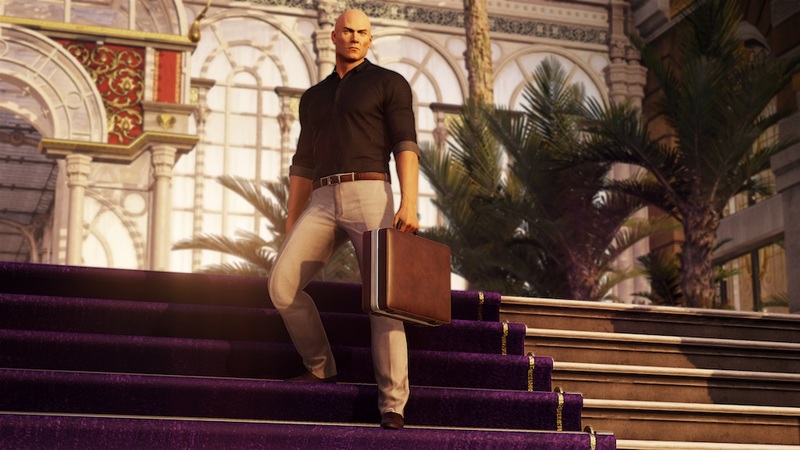 In comparison to Hitman, Hitman 2’s levels seem a bit bigger, with a few more moving pieces, but overall still give you the massive amount of options for completing each mission as well as the optional target and story you have come to expect. I liked the episodic format because it gave you time to complete each mission and all the optional side stories before moving on, so my main criticism against Hitman 2 is that I feel a bit more rushed, but that’s my fault, not IO’s. As far as core gameplay goes it’s dead on with Hitman (2016). The story features Agent 47 following the story of Hitman (2016) as he hunts the Shadow Client and works to find out information on his own origin. One of the early levels takes place at a racetrack and tech expo where initially I met my goal in taking out a father/daughter duo by disguising as a staff member and placing explosives on a racecar, along with poison on a shot glass. What I’ve come to love about the Hitman series is the extreme replayability of each scenario. You may pay $60 for the game, but it won’t be a 6-hour experience and then back on the shelf type of game. You get hours and hours of replay value that isn’t repetitive in the slightest, aside from who your targets are, and even they change with the added random targets (the first of whom is Sean Bean), which adds even more replay value to each mission. Hitman 2 is Hitman (2016) in one package. This sounds demeaning, but it’s really a compliment. Whereas before you had to wait for the next mission, now you can beat them all and see the story play out on your own time. After which you can go back and replay each mission dozens and dozens of times to try and beat every objective and find every option for taking out your mark. The controls are fine, the graphics are decent to really good depending on where you play (the game ran flawlessly on my older GTX 980 and i7 4790k PC setup at 2960×1440 resolution with 60fps on mostly medium to medium-high settings), but the replayability is what makes the Hitman series so special. The only downside for some may be the urge to rush through each mission because they no longer have to wait for each to drop. Hitman 2 is a game you could play for a weekend, or for a year depending on what you want out of it. With the lack of stealth games recently (looking at you Splinter Cell) it’ll give you enough replay to satisfy your cravings for years to come. Fun side content (Special Targets). Guided replay checkpoints offer bonus story.